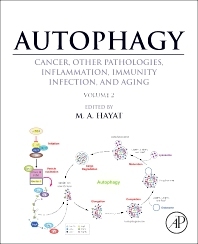 Autophagy: Cancer, Other Pathologies, Inflammation, Immunity, Infection, and Aging is a complete, authoritative examination of the role of autophagy in health and disease. Understanding this phenomenon is vital for the studies of cancer, aging, neurodegeneration, immunology, and infectious diseases. Comprehensive and forward thinking, this four-volume work offers a valuable guide to cellular processes while encouraging researchers to explore their potentially important connections. Understanding the role of autophagy is critical, considering its association with numerous biological processes, including cellular development and differentiation, cancer (both antitumor and protumor functions), immunity, infectious diseases, inflammation, maintenance of homeostasis, response to cellular stress, and degenerative diseases such as Alzheimer's, Parkinson's, Huntington's, amyotrophic lateral sclerosis, and prion diseases. Cell homeostasis is achieved by balancing biosynthesis and cellular turnover. 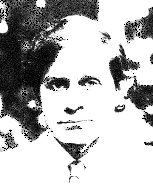 In spite of the increasing importance of autophagy in various pathophysiological conditions mentioned above, this process remains underestimated and overlooked. As a consequence, its role in the initiation, stability, maintenance, and progression of these and other diseases (e.g., autoimmune disease) remains poorly understood. This work will broaden the knowledge base of academic and clinical professors, post-doctoral fellows, graduate and medical students regarding this vital biological process.